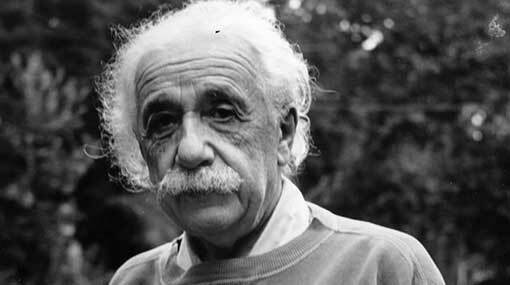 Newly published private travel diaries have revealed Albert Einstein’s racist and xenophobic views. In them, he makes sweeping and negative generalisations, for example calling the Chinese “industrious, filthy, obtuse people”. Einstein would later in life advocate for civil rights in the US, calling racism “a disease of white people”. Published by Princeton University Press, The Travel Diaries of Albert Einstein: The Far East, Palestine, and Spain, 1922-1923 was edited by Ze’ev Rosenkranz, assistant director of the California Institute of Technology’s Einstein Papers Project. The physicist describes arriving in Port Said in Egypt and facing “Levantines of every shade... as if spewed from hell” who come aboard their ship to sell their goods. Einstein’s theory of relativity changed how people thought about space and time but these diaries demonstrate how his own personal views about race seem to have altered over the years.